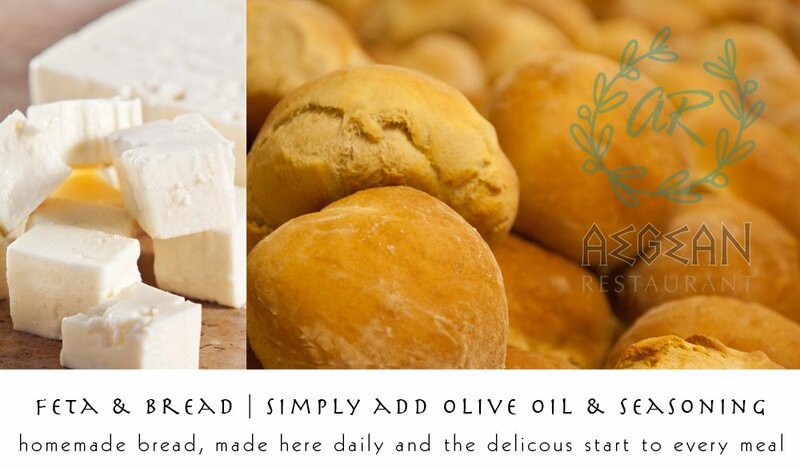 Whether you're here for lunch, dinner, takeout or a private gathering - you must start your experience dipping your way into a generous creation of olive oil, crumbled feta and special seasoning with our homemade bread... It is one of our customer MUST-HAVES when dining with us. A perfect way to start your meal and get your mouth watering for the next course of your liking!